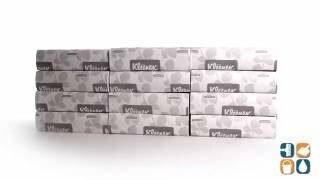 Kleenex is a name brand known for strength and absorbency and these Slimfold Paper Hand Towels are no exception! These white paper hand towels are the perfect space-saving, hand drying solution. The Kleenex Slimfold towels provide exceptional hand drying performance, and the reduced-size packaging allows for easy storage of extra towels with no bulky boxes to worry about. Kleenex Slimfold towels have absorbency pockets that provide the ultimate in absorbency and hand-drying performance, providing better value for your business. You can take comfort in knowing that when you buy these hand towels, you are purchasing an environmentally sound product that meets EPA standards for minimum post-consumer waste at 40%. When used with the Slimfold Towel Dispenser (sold separately), this becomes a hand drying system designed to fit even the tightest spaces.